See the finding aid for the Earl Palmer Appalachian Photograph and Artifact Collection. Permission to publish material from the Earl Palmer Appalachian Photograph and Artifact Collection must be obtained from the Special Collections, Virginia Tech. 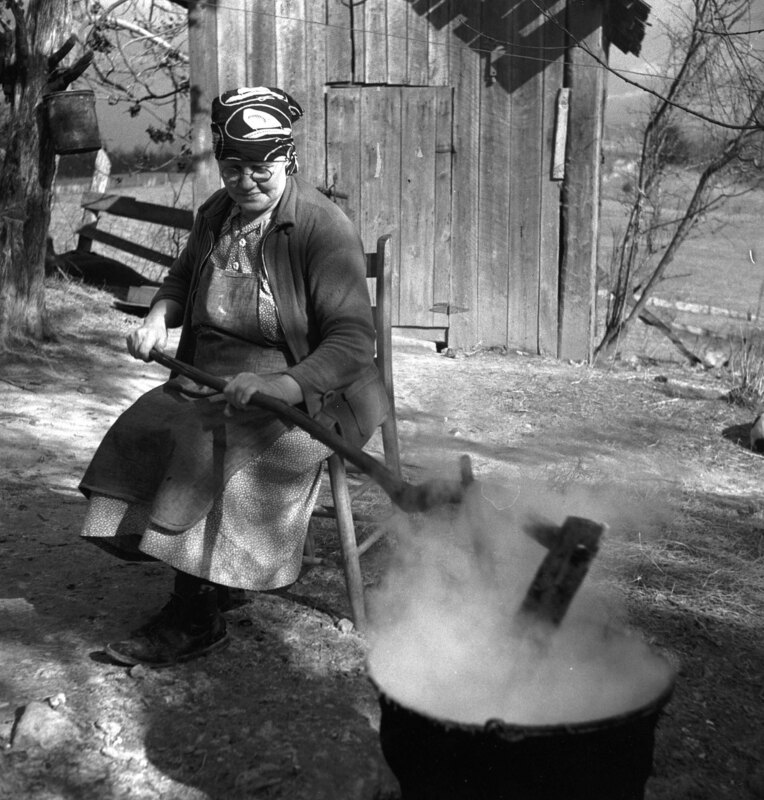 Earl Palmer Appalachian Photograph and Artifact Collection, Ms1989-025, Special Collections, Virginia Tech, Blacksburg, Va.
Palmer, Earl, 1905-, “Nora Treece cooks apple butter,” VT Special Collections Online, accessed April 23, 2019, http://digitalsc.lib.vt.edu/Ms1989-025/Ms1989-025_ep293.